The eWAY Payment Gateway plugin now has integrations for WooCommerce, Events Manager Pro, and Another WordPress Classifieds Plugin with support for Australian customers of eWAY. And it’s still free! 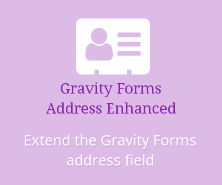 My eWAY payment gateways for WP e-Commerce and Gravity Forms now have some new features that should help some merchants building e-commerce solutions. The wp-e-commerce shopping cart plugin lets you sort your products by a few different things: name (product title), price, date/time created… but it doesn’t let you sort by category name and then product title. Here’s what I just came up with for one client; it isn’t generic, but other developers should be able to adapt it for their circumstances. The wp-e-commerce shopping cart plugin is probably the most popular cart plugin for WordPress, but it isn’t always the most easily customised; in fact, theming it can be a nightmare. One little niggle I had to fix recently was that the notification emails don’t include relevant purchase information such as which shipping method was selected, or the per-item comments from the purchaser (e.g. a message to be included inside a book flap).